Maserati birdcage - finally started! Thread: Maserati birdcage - finally started! a few of you might remember but a long, long time ago i started a thread about building a replica of this. well it's still going to be a very long and slow process but i'm finally starting it! I'm currently having a 3d model of it made and from that data i will create the plug and you know what happens next..
anyway, i have a LOT of planning still to do, and i'm hoping to get some help from all the experiences builders on here, and any ideas and suggestions people can throw at me. obviously the car isnt practical as it is so i have/will be designing in more useable features like more 'normal' doors and windscreen etc, but i do want to keep the look as close to the original as possible. Drivetrain - I'd love to go electric but i dont think the technology is quite there yet, i'd need 100+ miles between charges and good speed, nothing ridiculous but i want to be able to get above 120mph at least. also there is the issue of price. other than that i was thinking bike engined, or anything else really, i just dont want anything too petrol thirsty and i dont need anything super powerful, i'd never get to use it! Lights - anyone know how to go about making custom front and rear lights? laws regarding them? would like to go down the LED route ideally..
Glass - custom windshield/side window glass suppliers in the uk? Wheels - again custom suppliers, any details? 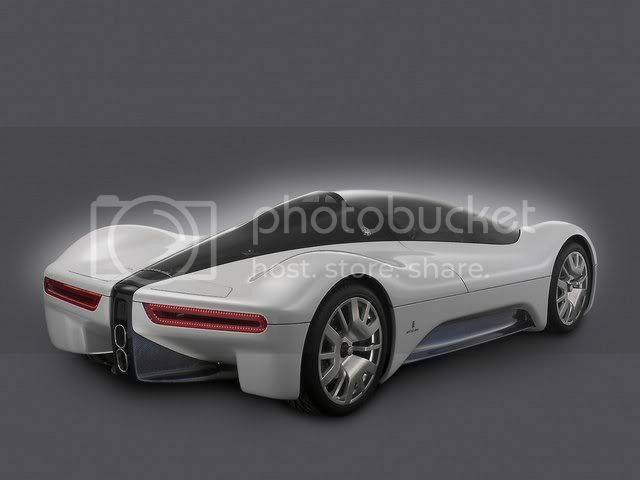 anywhere here's a little pic, gives some idea of what i have in mind..
Re: Maserati birdcage - finally started! That looks like a contemporary super car. I remember a birdcage maserati from the 50's. I just saw a 1/18 scale RC car of this exact model and color in a discount store 2 days ago! It used your cell phone as the controller, neat huh? It could help with scaling/modeling maybe. Just googled it. The maserati birdcage came out in 1959. 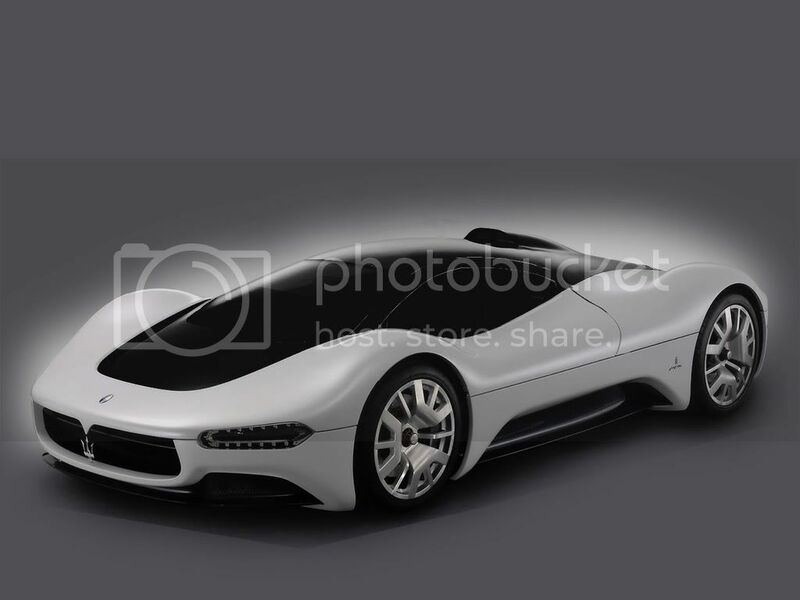 Yours is the maserati birdcage 75. Great looking car. Either one. NICE!! cant wait to see the progress on this one! i've been looking for models for weeks but nothing.. if anyone can get hold of one let me know! anyway i'll be starting on a few scale models soon to work out how i'm going to do the doors and things, will put pics up throughout the whole process. can anyone help with all my questions in the first post? Are you going as a panel build, or a unibody. That is a beautiful car! There are many places here in the USA that could do the glass for you, and for the lights, when your ready, let me know. I met a guy the other day who builds custom lenses for car lights. I saw one he did and it was amazing! He can make any shape, color, combination of colors, or size that you need, for about $275 each for the first run. After that, the price drops way down to about $80 each. The backing/rear frame for the lights would be easy, wether you went incandescent or LED on the bulbs. it will be a panel build, just not many of them. i was going to make my own lenses and just use coloured led's so i wouldnt need coloured lenses.. but im not sure on the law regarding these. my plan to make the lenses was to create a male and female mold and then heat perspex (i think you call it lexan in the states) and place it between them until it cools and hardens again, is it really that simple? my main concern is wiring up the led's correctly, i have no idea about electrics! I dont suppose anyone else would be interested in this car? would save all this expense for just one of them! You can do the Lexan trick, but this guy showed me a liquid version of plexiglass, that cures with UV light! You can tint it ANY color you like, and its crystal clear when cured (He says the best way is to build a simple vacuum box to remove any air from the mix before it cures). The LED wiring is simple! Did you see the LED license plate lights I installed on my build? I can send you the formula for figuring out the proper resistance required for the voltage used, versus the number of LED's you want in the light. I just saw a 1/18 scale RC car of this exact model and color in a discount store 2 days ago! It could help with scaling/modeling maybe. Did you say you have been looking for models? Did you need me to go back by the store and see if it is still there? Maserati Biturbo mirror - countach?